Directly across from Disneyland is Disney California Adventure. Since opening in February of 2001, this park is full of activities to entertain your little ones. We had a blast exploring the park, so of course I took notes on Kat and Scott's favorites. 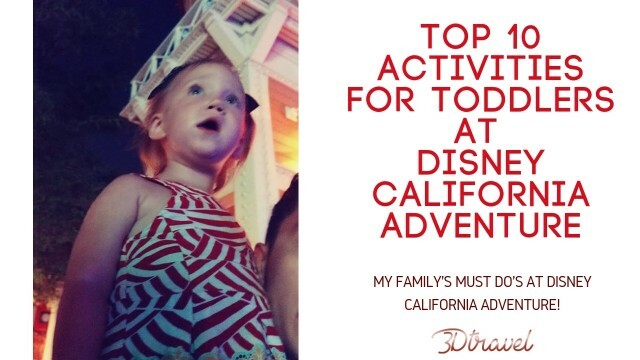 So here are our family's top 10 toddler activities for Disney California Adventure! 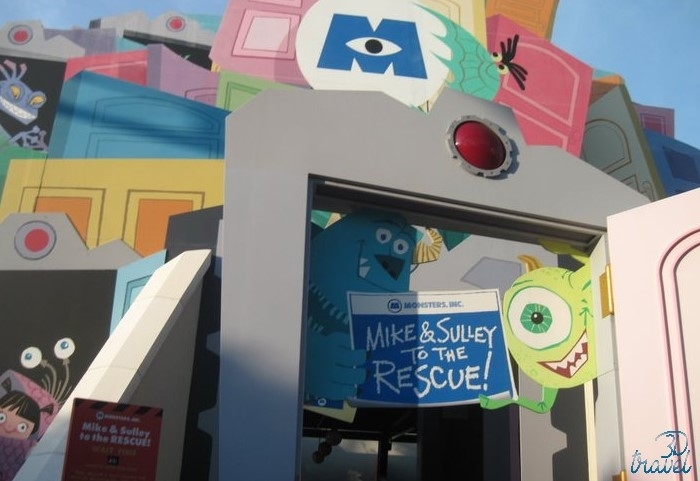 If your toddler loves Monsters, Inc., then they will absolutely love this ride located in Hollywood Land. 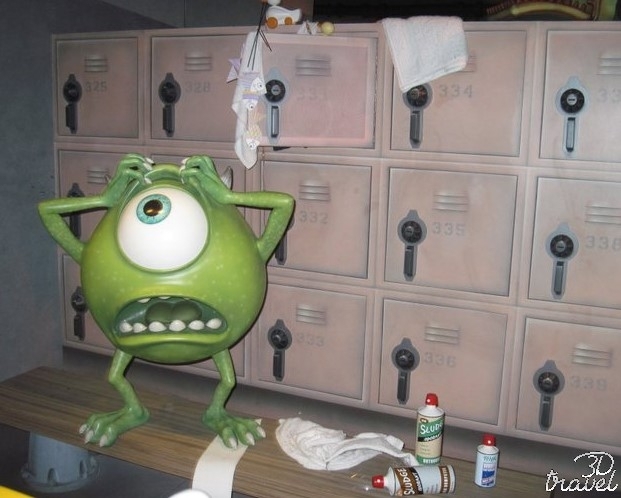 Guests board a taxi and are whisked through Monstropolis as you watch Mike and Sully try to get Boo back home safely. Kat is obsessed with Monsters, Inc., so getting to see her favorite characters throughout this dark ride had her laughing and smiling well after the ride was over. 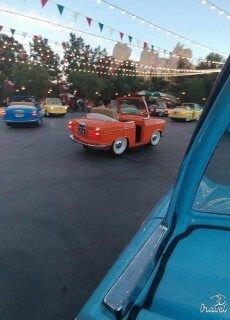 Located in Cars Land, this adorable ride has a height limit of 32". 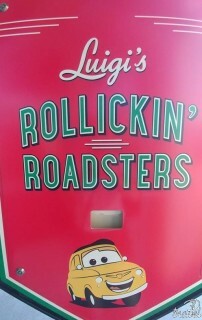 Luigi's cousins have come to visit Radiator Springs, and are ready to show you their dance moves. Each car has distinct moves, giving you a new experience each time you ride. 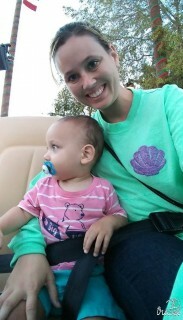 Kat loved riding with Dad, and Scott thought the cars were super neat. 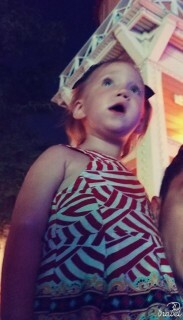 What toddler doesn't love to dance?! You can find this super cool 18 minute show in Hollywood Land, and you'll want to check your times guide for exact show times. Featuring Disney Jr favorites like Sophia the First and Roadster Mickey and Minnie, toddlers will go love dancing along to their favorite Disney Jr. hit songs. And be sure to watch for Kion and the rest of the Lion Guard! Located inside the Disney Animation Building in Hollywood Land, this is the perfect meet and greet for toddlers. 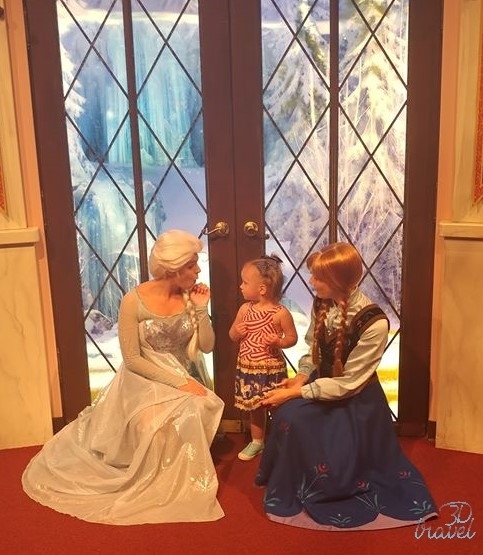 Anna and Elsa are so much fun to talk to, and they spent so much time with the kids sharing stories. 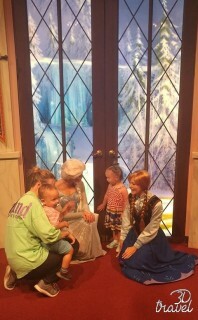 Scott was very shy at first, but the Arendelle sisters had him smiling in no time. The line is also super quick, and we were able to see them several times during our visit. 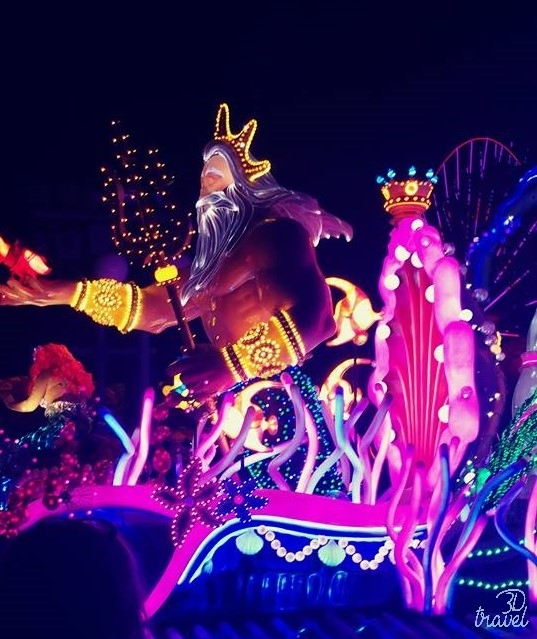 This night-time parade will amaze every member of the family. Featuring stunning light-up floats of Disney and Pixar classics, little ones will love seeing their favorite characters in a whole new way. The music is also very catchy; the main song is "When Can I see You Again" by Owl City, and you'll recognize it from the hit film Wreck It Ralph. 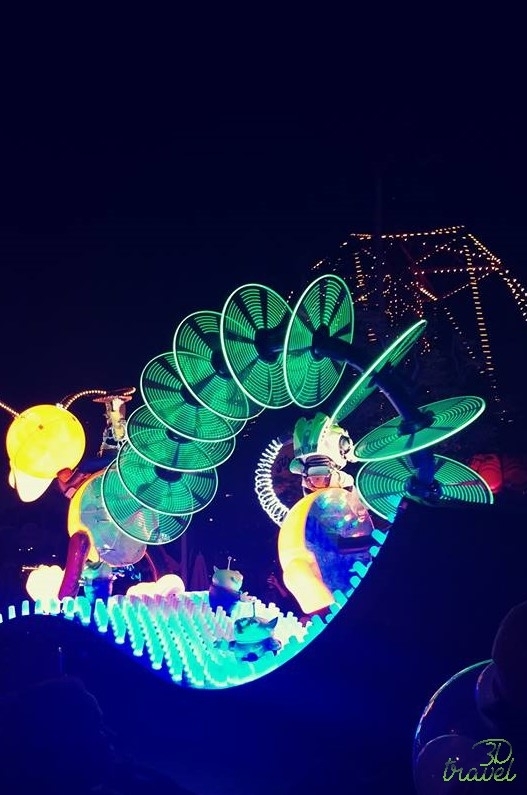 It's safe to say that this is our favorite parade from both Disneyland and Walt Disney World! Who doesn't love a good Ferris wheel? Located in the newly re-imagined Pixar Pier, this ride is like having two rides in one. Guests get to choose between two lines; the first is for the stationary gondolas, and the second is for sliding gondolas. Both sides allow any height, so it's completely up to your family which line you want to enter. 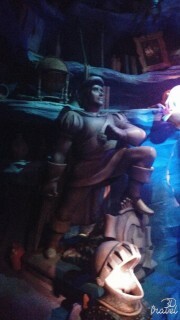 Located in Hollywood Land, this Broadway style show can't be missed. Not only is it extremely well done, but the special effects are amazing as well. Whether your little one likes Frozen, or has never even seen it, they will be thoroughly entertained by this show. I recommend sitting in the orchestra section; it will put you closer to the stage so your little ones will have a better view of the show. Perfect for all ages, you can find this in Paradise Gardens Park. Guests board a clam-mobile and are transported straight into the story of The Little Mermaid. I personally love the Under the Sea segment. Kat's favorite part is the Kiss the Girl scene, because she thinks the fish in it are "so cute!". 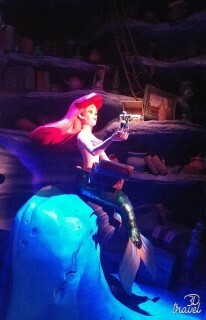 So if your little one like Princess Ariel and her friends, then this ride should definitely be on your list! Located in Cars Land, this attraction does have a height requirement of 32". Guests get to board tractors that Mater has gathered together, where you'll partake in an old-fashioned square dance. 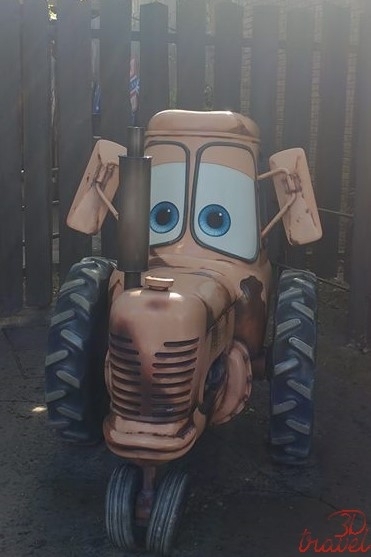 This ride does spin, and the tractors also switch onto the neighboring track. It actually resembles a figure 8 when you watch the dancing tractors. This nighttime show is a spectacle that you have to see to believe. Viewing areas are in Paradise Garden Park, but it is standing room only so you'll want to arrive early enough to make sure your little ones will have a good view. 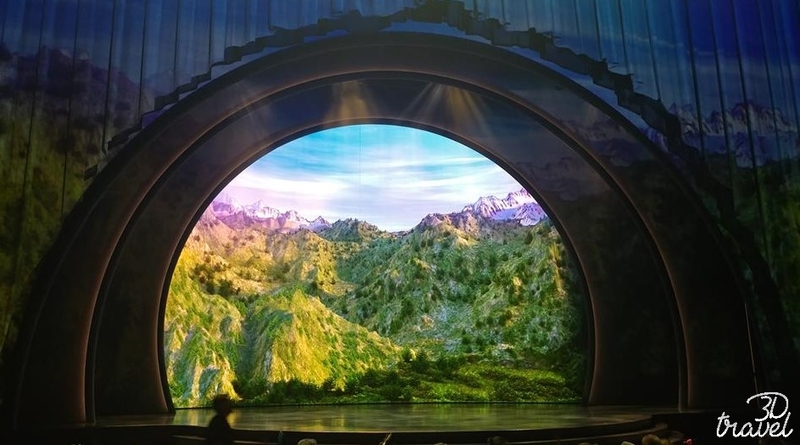 Once the show starts, the whole family will be wowed by this jaw-dropping show. And that concludes our list of the top 10 toddler activities at Disney California Adventure. Kat and Scott loved visiting this park, and seeing everything it has to offer. We hope you love these attractions as much as we do! Stay tuned to see what comes next at the Toddling Travelers!